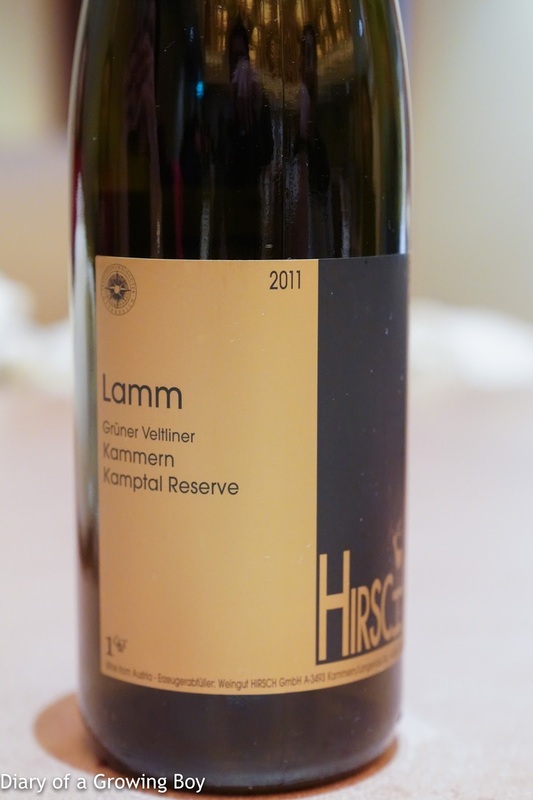 2011 Hirsch Grüner Veltliner Kammern Kamptal Reserve Lamm - mild on the palate, a little flinty. 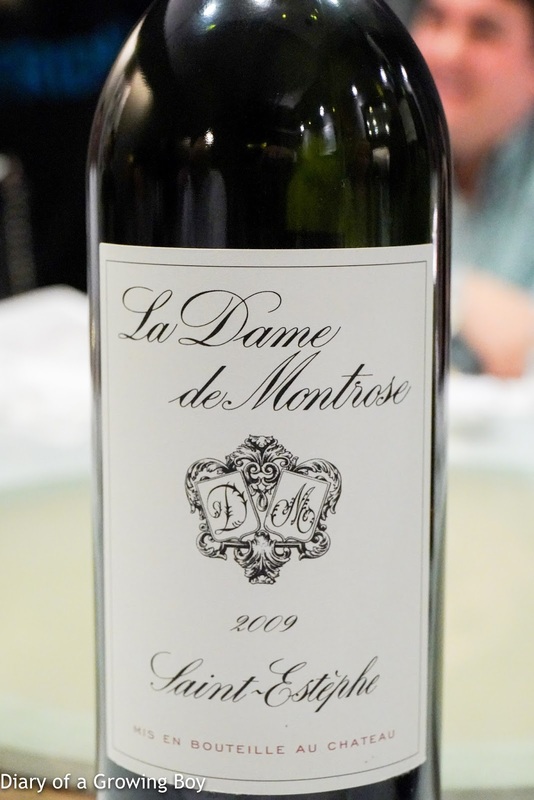 2009 Dame de Montrose, en magnum - decanted 30 minutes prior to serving. 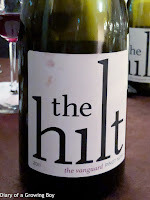 Alcoholic, tannic, and a little grippy on the palate. Much better after 2 hours as it softened up. 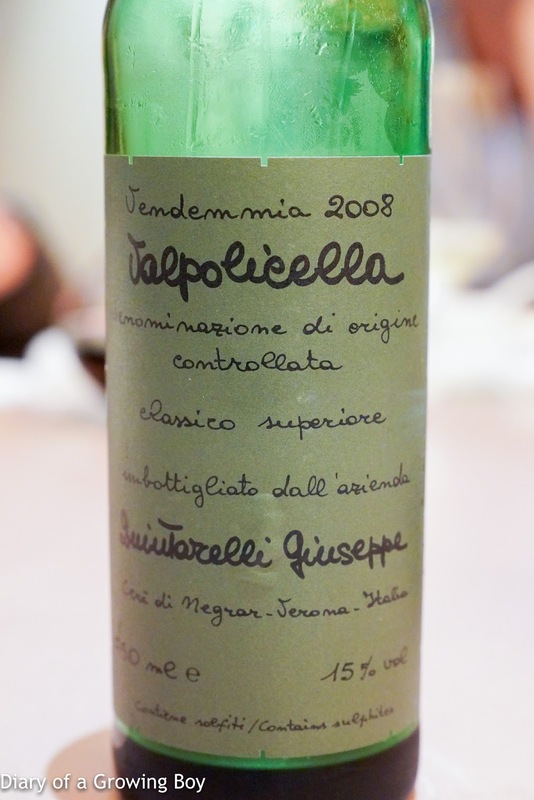 2008 Quintarelli Valpolicella Classico Superiore - sweet fruit, smokey, ripe on the palate, and definitely felt the 15% alcohol. 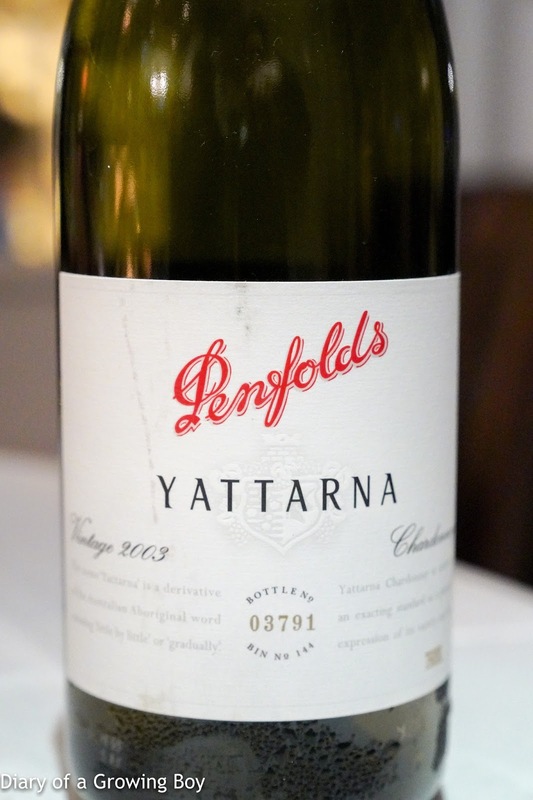 2003 Penfolds Yattarna - served much too cold. 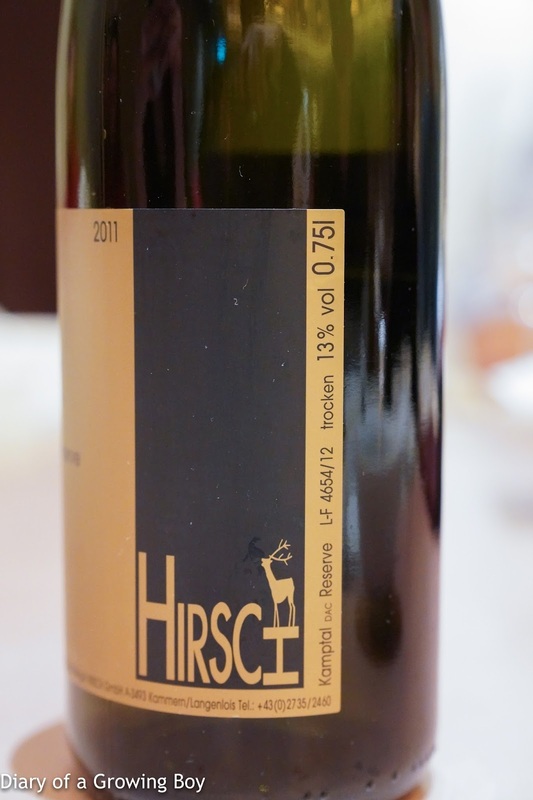 Nose was very, very caramelized, and reminiscent of sugar cane juice. 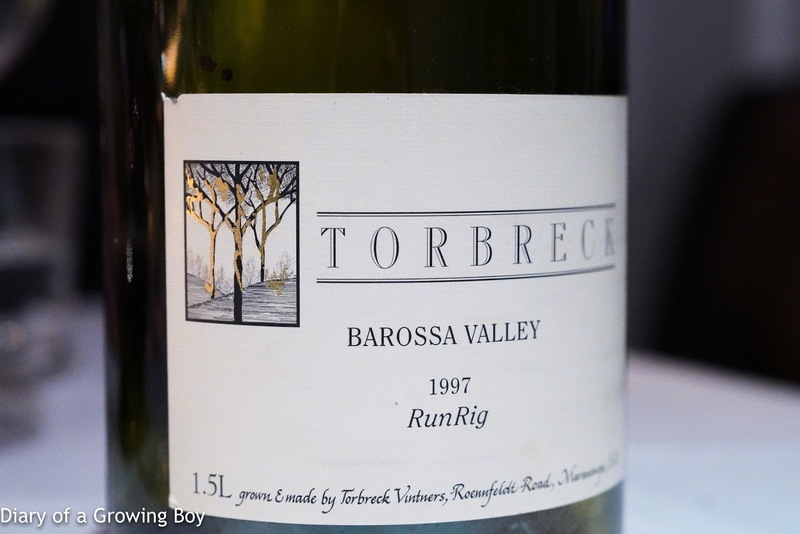 Lovely toasty notes, with good acidity here. 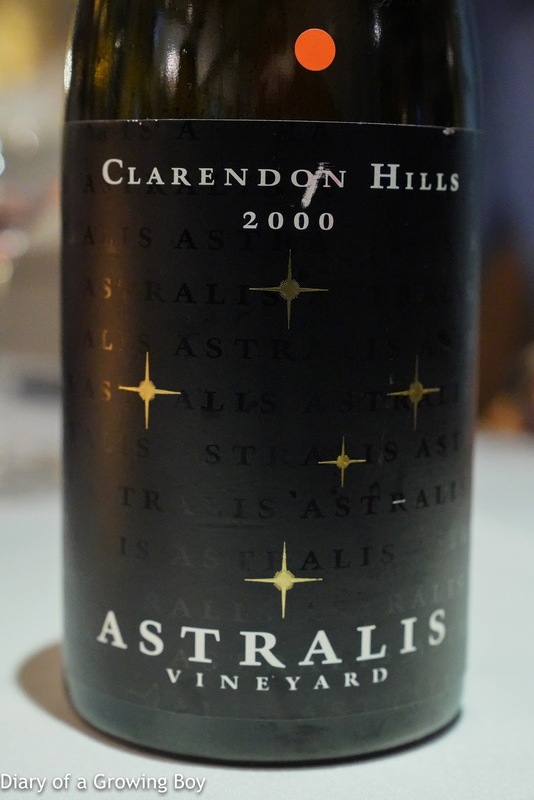 2000 Clarendon Hills Astralis - nose showing sweet fruit, a little metallic and animal, very fragrant with cedar notes, along with very ripe fruit. Good acidity here, too... The color was visibly lighter than the slightly older RunRig. 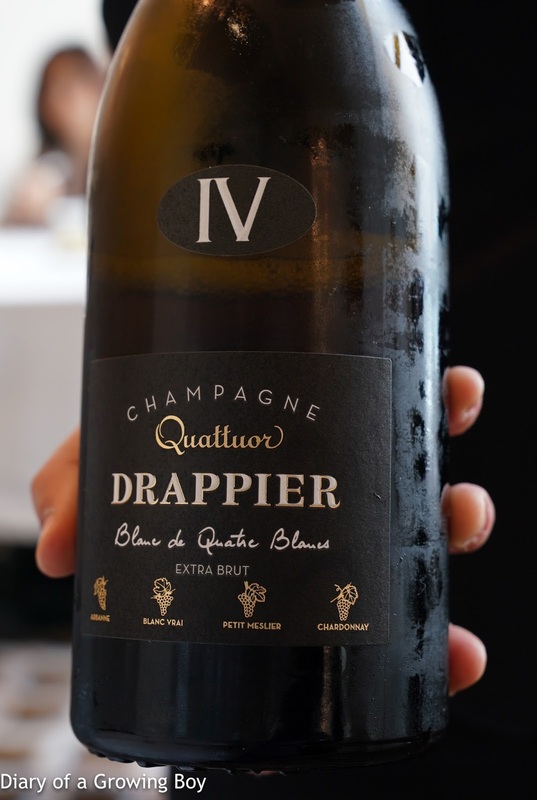 Drappier Quattuor - an interesting Champagne made with four different white grape varietals, or blanc de quatre blancs, with an assemblage of 25% each of arbane, petit meslier, blanc vrai, and chardonnay. Nice and yeasty, a little caramelized, lovely with marmalade notes. Good acidity balance. 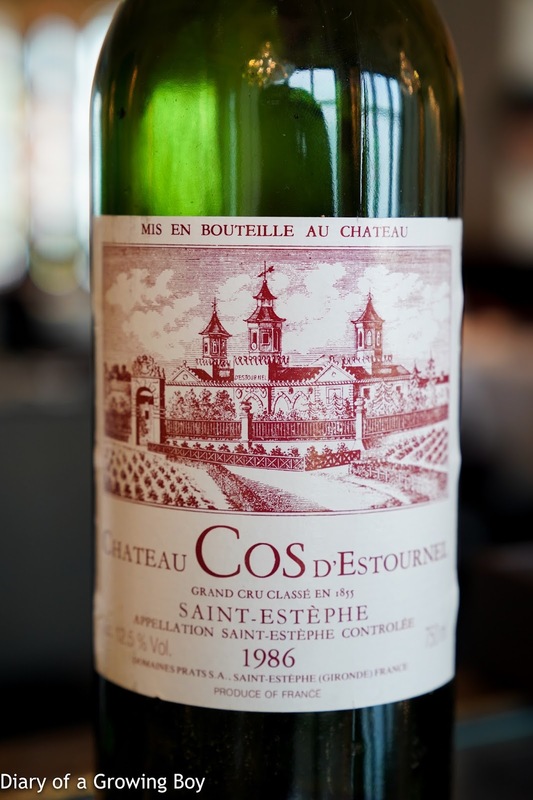 1986 Cos d'Estournel - served 30 minutes after decanting. 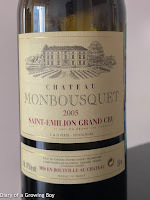 Classic claret nose with smoke. Improved after chilling, not as tannic on the palate. Very fragrant and lovely nose with lots of woodsy notes. 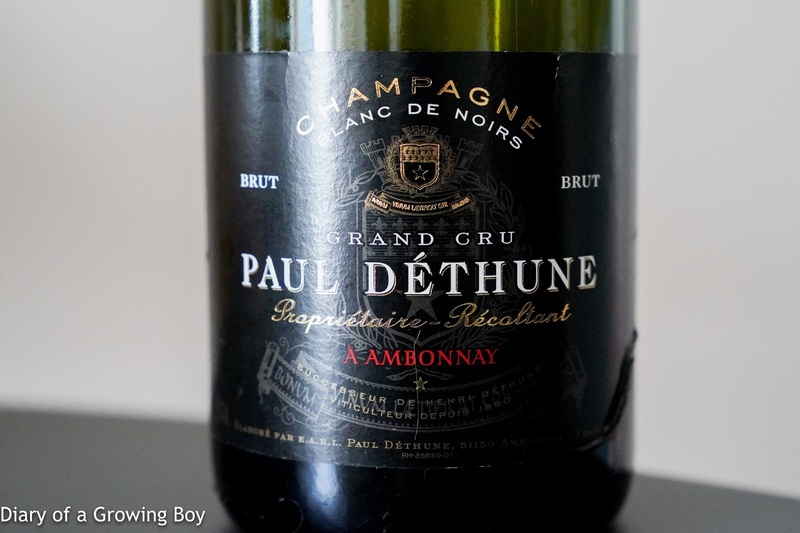 Paul Déthune Blanc de Noirs, dégorgée en Mars 2011 - nose pretty yeasty, nice and caramelized, almost a little savory minerals on the palate, also ripe on palate with a good kick of acidity, with good depth of flavors. 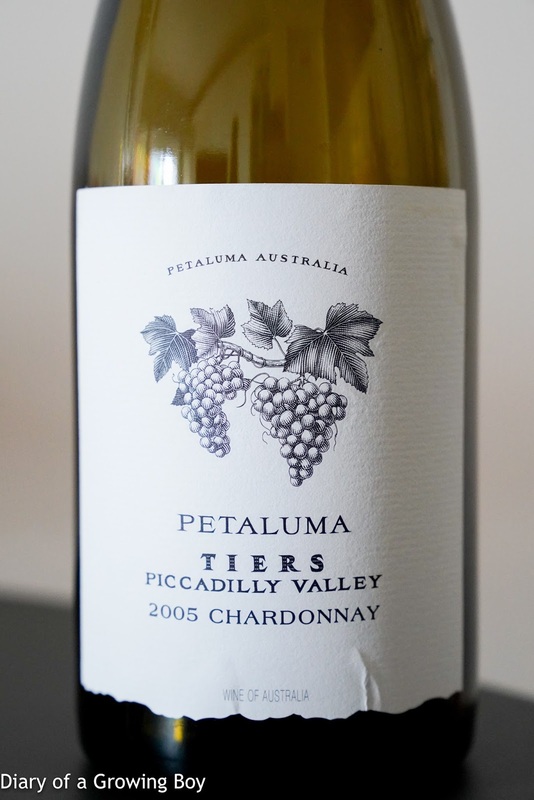 2005 Petaluma Chardonnay Tiers - overripe as with previous bottles, with some flint and lemon citrus. 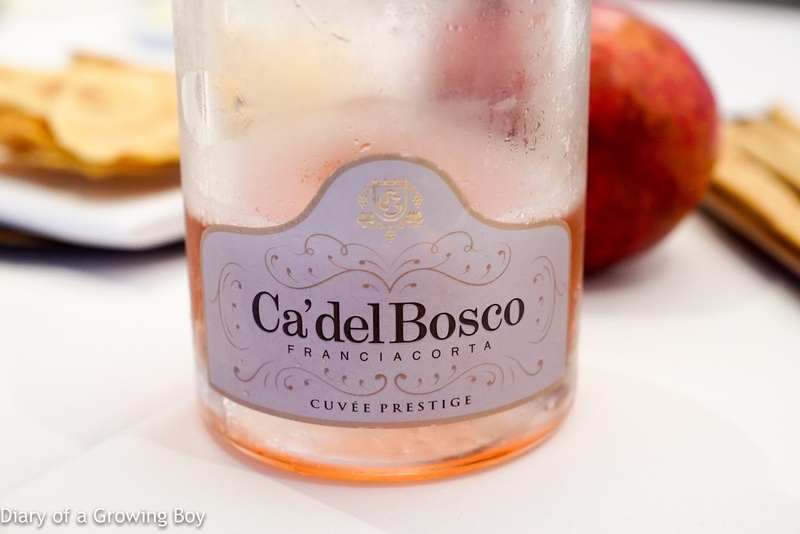 Ca' del Bosco Cuvée Prestige Rosé - nice and fruity, with strawberry notes. 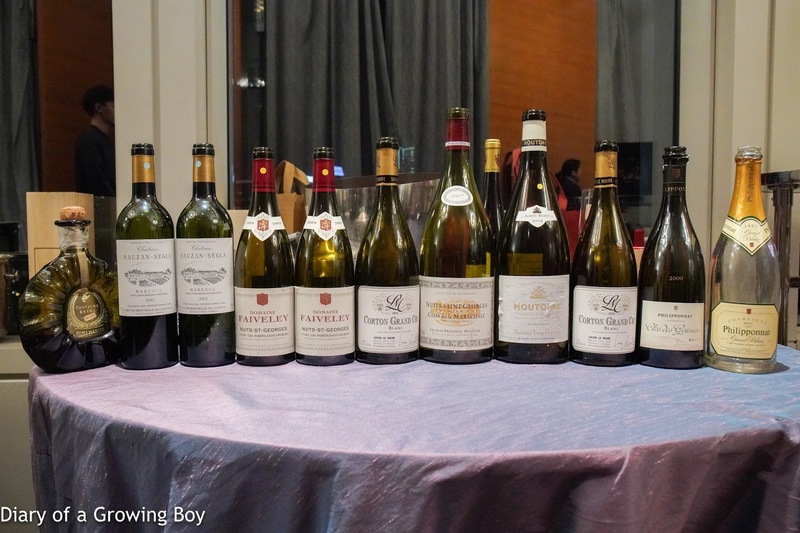 Wine tasting organized by Morgan Stanley. 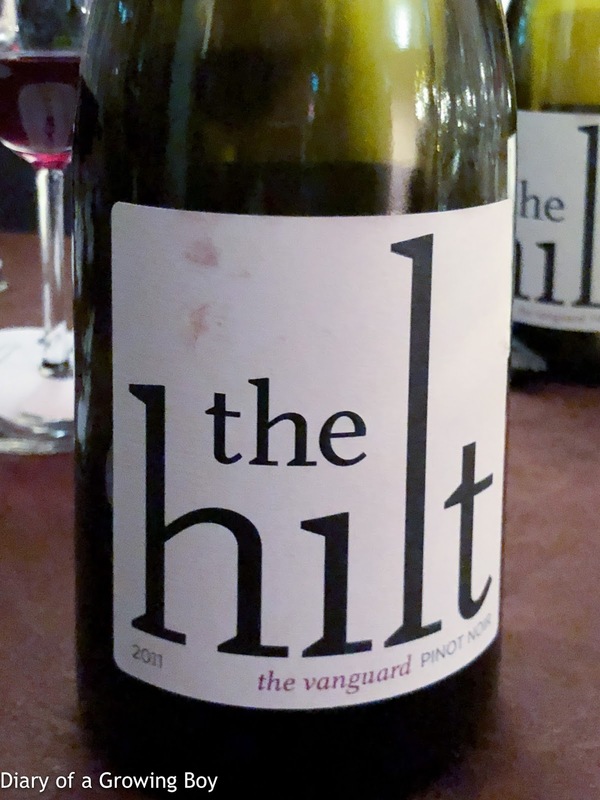 2011 The Hilt Pinot Noir The Vanguard - very sweet on the nose, with leather notes. A little tannic. 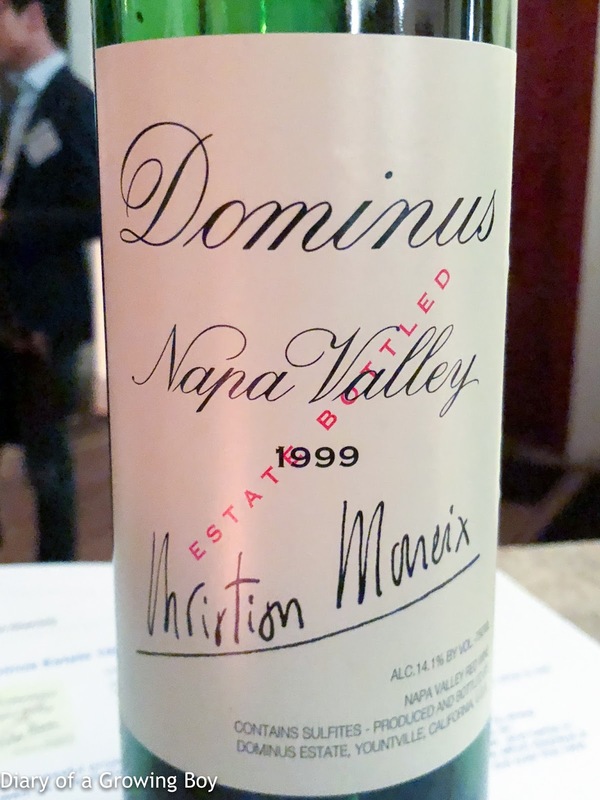 1999 Dominus - smoky. 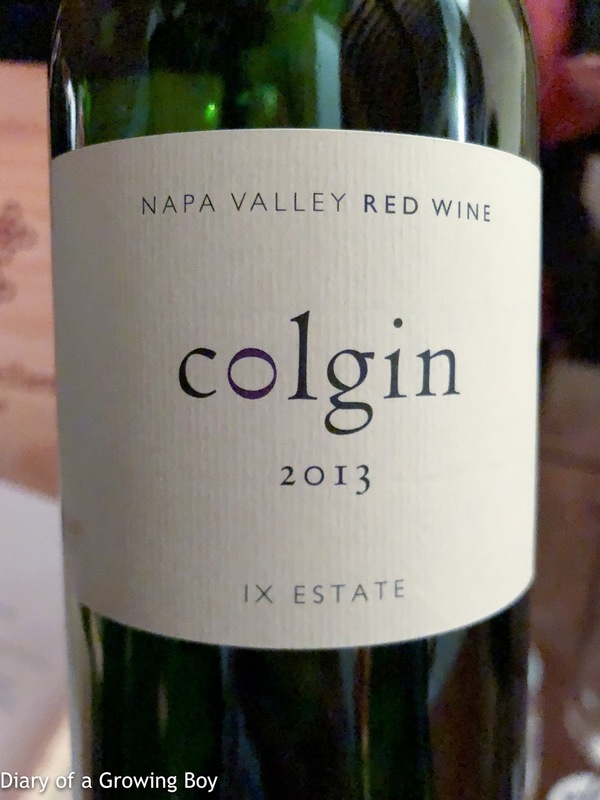 Very sweet on the palate, and still surprisingly kinda tannic. 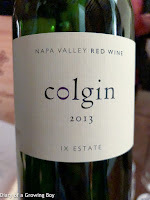 2013 Colgin IX Estate Red - very sweet, and alcohol so sharp it burned the back of my throat a little. 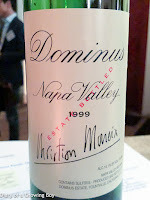 Very oaky, but surprisingly very silky and so well integrated. 2011 Joh.Jos. 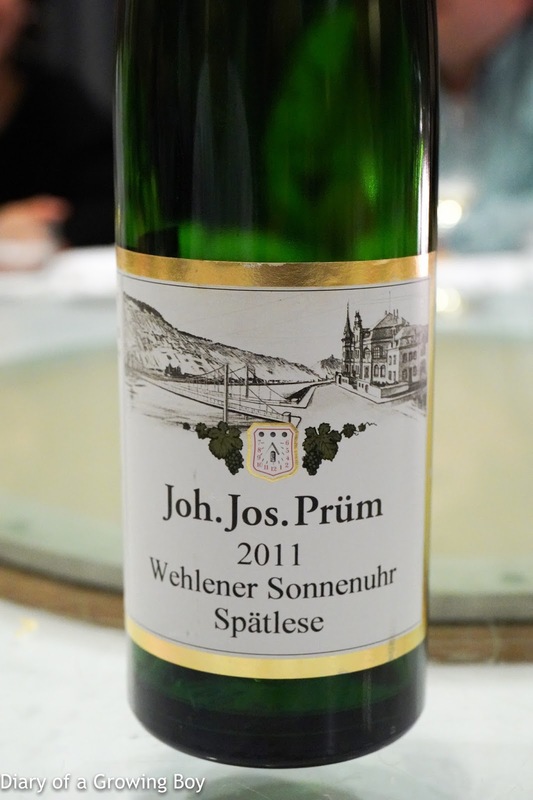 Prüm Wehlener Sonnenuhr Riesling Spätlese, from magnum - a little pungent with polyurethane notes, giving way to some white flowers. Nice balance between acidity and sweetness. 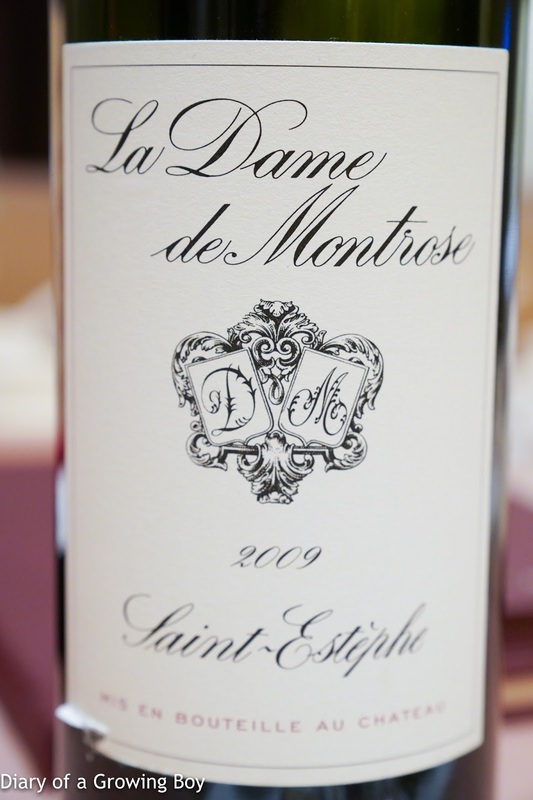 2009 Dame de Montrose, en magnum - initially muted and flat, then smoky, fruity, minty, with pencil lead. 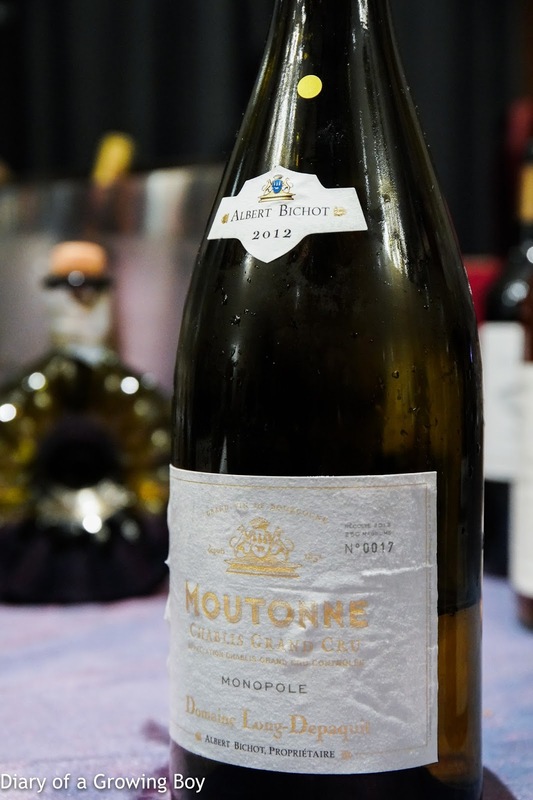 2007 Henri Boillot Puligny-Montrachet 1er Cru Clos de la Mouchere - nice lemon citrus and good acidity, with some lovely toast. Dinner at Cuisine Cuisine in IFC. 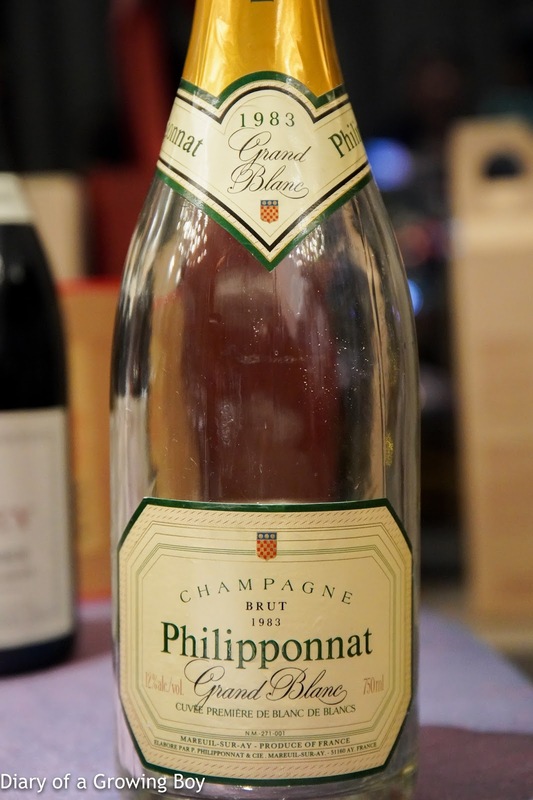 1983 Philipponnat Grand Blanc - prominent nose of salty plum, and minerals. Beautiful nose, lovely and floral. Very mature now. 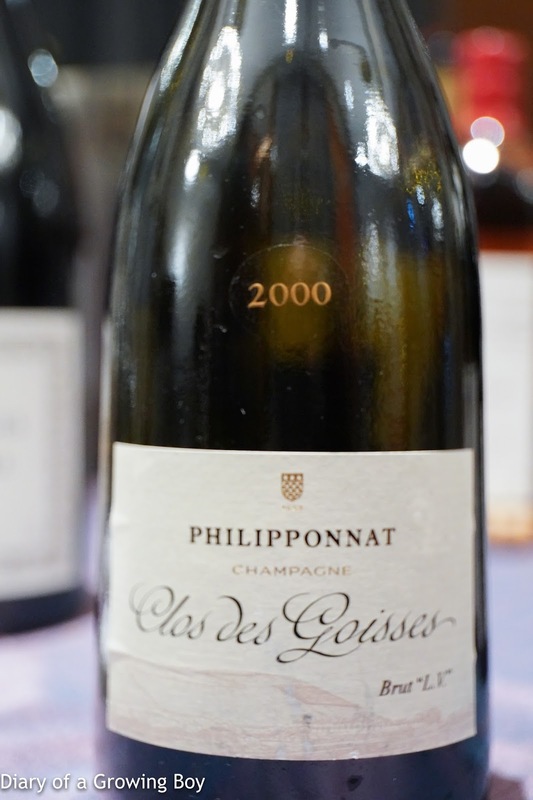 2000 Philipponnat Clos des Goisses Brut "L.V." - this was clearly much more complex. 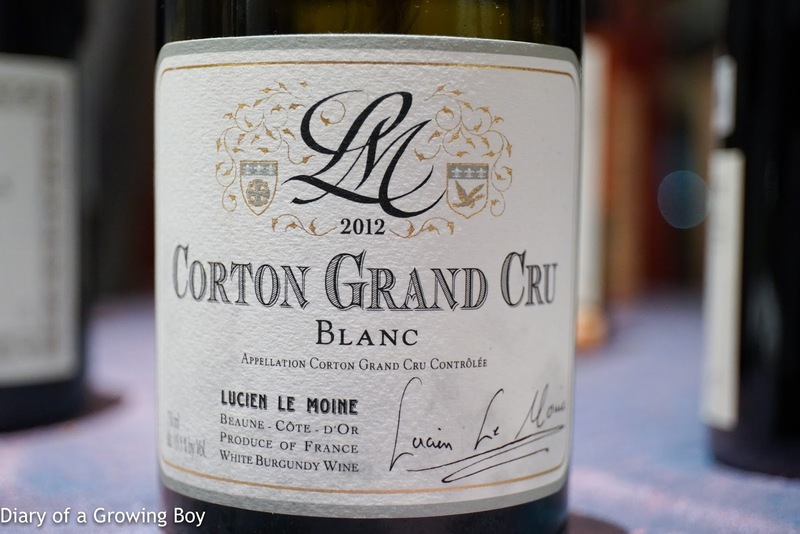 2012 Lucien Le Moine Corton Blanc - really big and toasty nose as expected, with lots of lemon citrus. 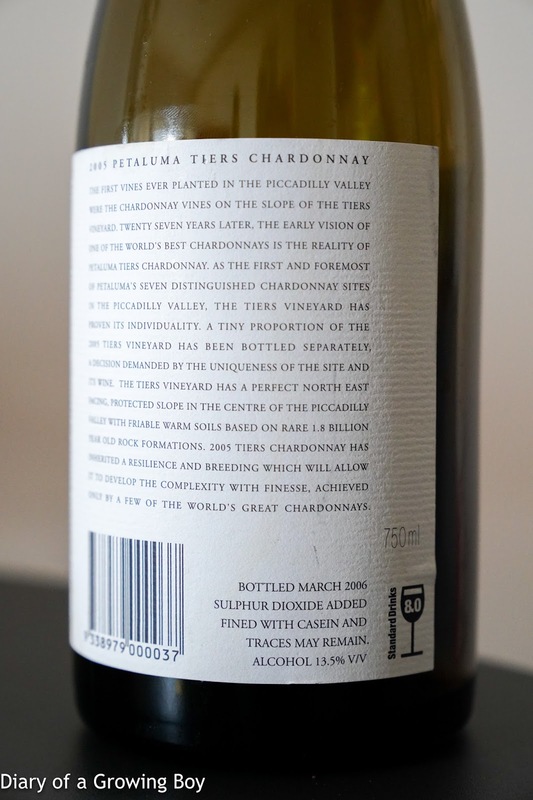 Good acidity here, but also very buttery. Absolutely delicious. 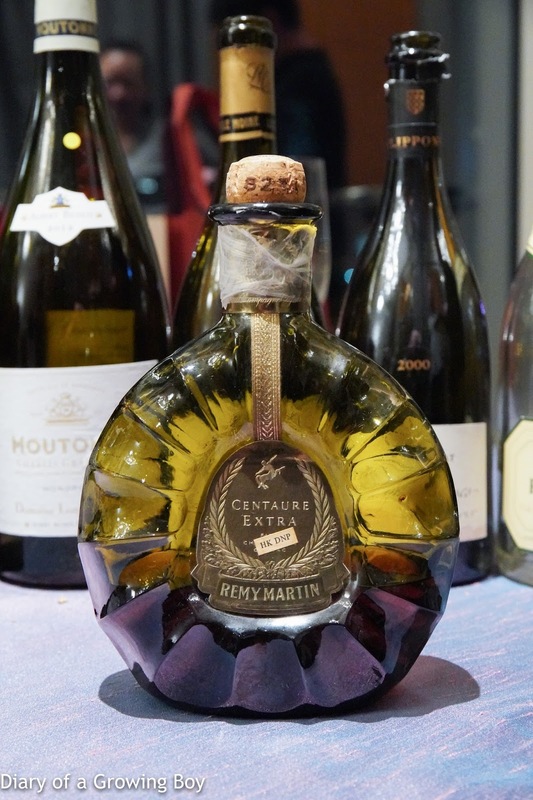 Remy Martin Centaure Extra, from 1980s - very fragrant, with lots of sweetness on the nose. 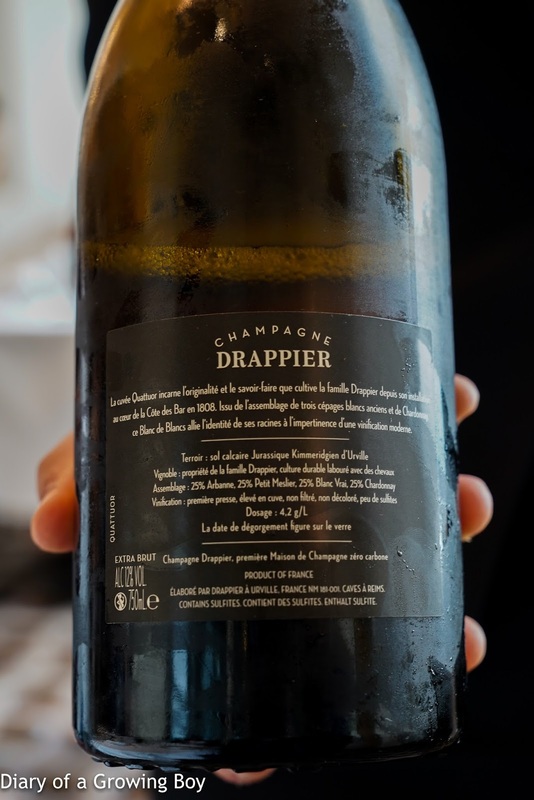 2012 Domaine Long-Depaquit Chablis Moutonne, en magnum - cleaner on the palate, with crisper and higher acidity. A little more pungent on the nose. 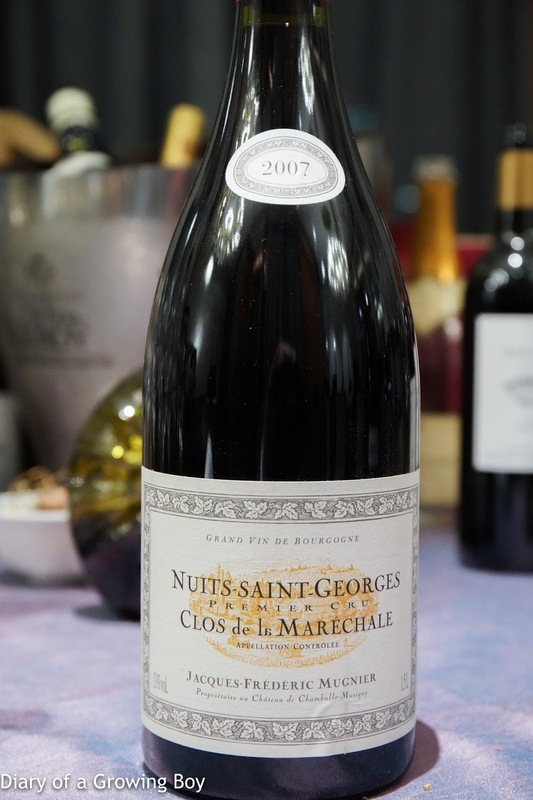 2007 Mugnier Nuits-Saint-Georges 1er Cru Clos de la Maréchale Rouge, en magnum - cool fruit, with a little violet, animal, leather, and eucalyptus on the nose. 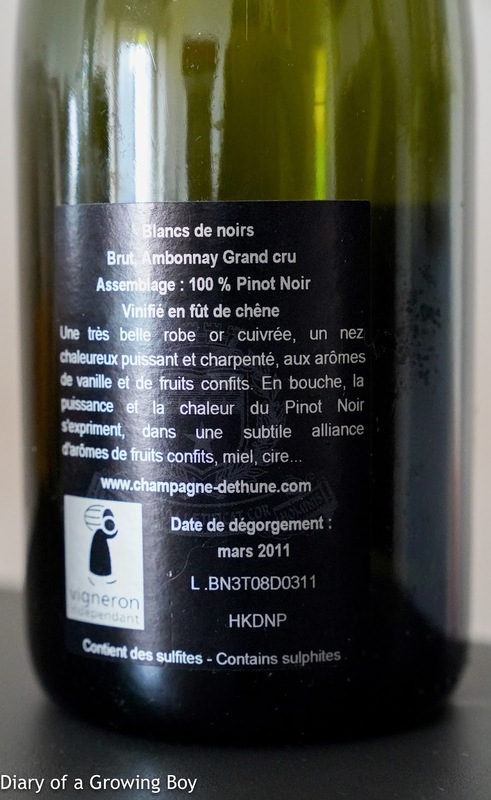 Relatively lean on the palate. Drinking very nicely right now. 2009 Faiveley Nuits-Saint-Georges 1er Cru Les Porêts-Saint-Georges - initially rather muted, with even cooler fruit, more cedar and woodsy on the nose, more smoky. Much later on the wine showed strong coffee notes. Needed time to open up. 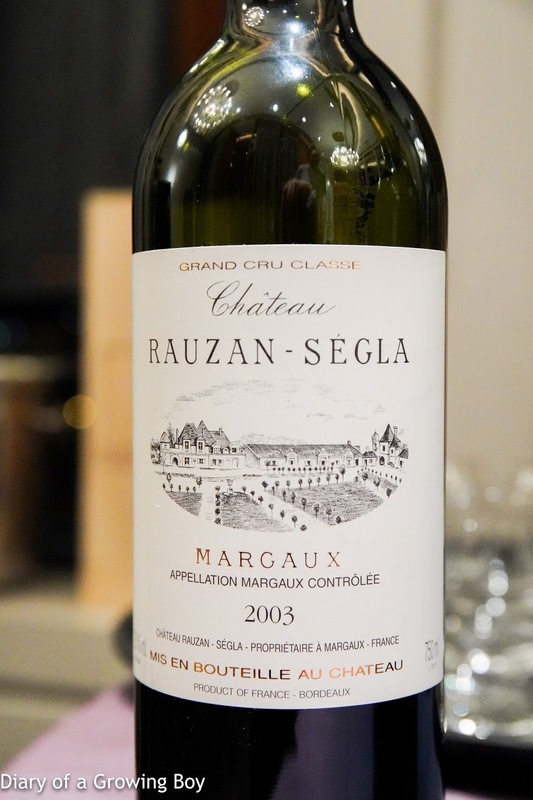 2003 Rauzan-Ségla - very fragrant, with smoky and cedar notes, but not quite pencil lead here. 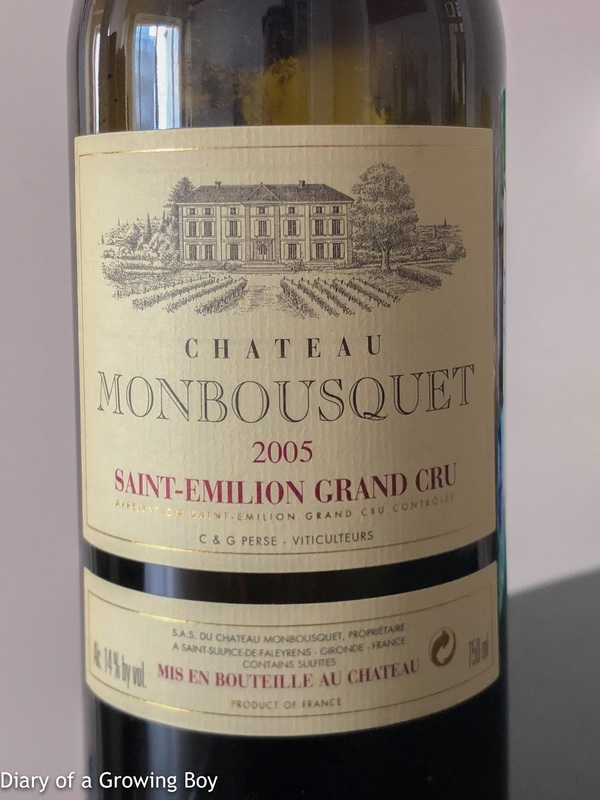 2005 Monbousquet - first a whiff of sharp alcohol, then sweet fruit, cedar, oak, smoke. Later on showed some big coffee and smoky notes.